Disability often brings to mind wheelchairs and amputees on crutches. The scope of disability has changed throughout the years and so has the mindset on what constitutes a disabled person. Federal disability discrimination law states that disability is defined as a mental or physical affliction that to a large extent hinders at least one or even more of an individual’s important life actions. Impacted life activities can include self-care, learning, moving, and the basic activities of daily life, which include cooking to keeping your home clean. The terms that once defined disability have changed as well. Mental retardation is no longer a mainstream term, intellectual disability has long replaced it. People are less likely to be pigeon-holed into a category as the world awakened to what’s possible, not impossible for a person “differently-abled.” There is no physically disability that needs to set a person back, those veterans who have lost a limb, a child born with a physical birth defect such as a shortened arm, to diseases such as multiple sclerosis and muscular dystrophy, don’t need to curtail activity or social life. 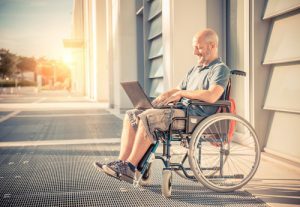 Many disabled people used to live in institutions, now the amount of resources available to live a quality life are abundant; and most people living with an impairment can either live on their own or with support from family, friends, private, public or government programs. 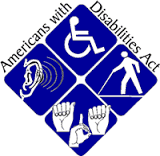 With the advent of The Americans with Disabilities Act of 1990, persons with disabilities can be assured equal opportunity in education, employment, government service, public accommodation, communications, and transportation. Classrooms are required by law to accommodate children with physical, mental, or other disabilities. Physically or mentally impaired adults can find help with employment, re-employment, services, and education. The information and the resources are available and waiting for those who know where to seek help. Accessibility to goods and services is a human right, not a privilege.